BlackBerry’s Z30 is “coming soon” to Verizon’s 4G LTE network. The U.S. carrier announced the news yesterday on Twitter shortly after the Canadian company confirmed the long-rumored BB10 phablet. Verizon didn’t reveal exactly when the device would land on its 4G LTE network, but according to BlackBerry the new phone will hit stores as soon as next week, so Verizon customers likely won’t have to wait very long. The Z30 comes equipped with a 5-inch 1280 x 720-pixel Super AMOLED display, a 1.7GHz Snapdragon S4 processor, 2GB of RAM, 16GB of internal storage, MicroSD support and NFC capability. 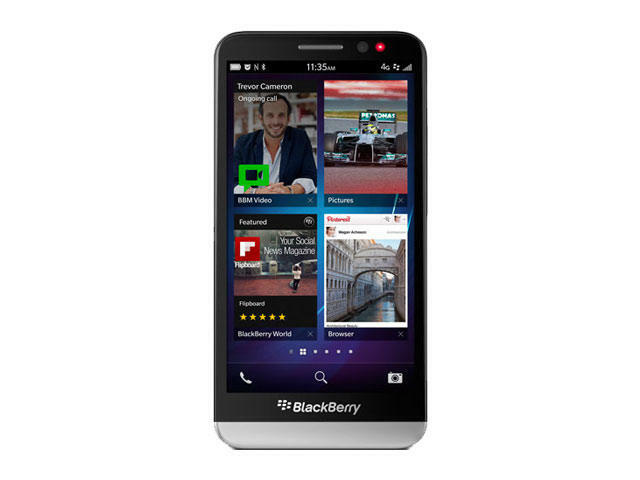 Its release will coincide with the official rollout of BB10.2, a long-awaited update to BlackBerry’s current OS. With BlackBerry actively looking to sell off its own assets in the face of slumping sales and continued layoffs, the Z30 is a bold move from the once dominant Canadian smartphone-maker. If the Z30 fails to pull in a significant profit, could the device be the last flagship handset we see from BlackBerry?